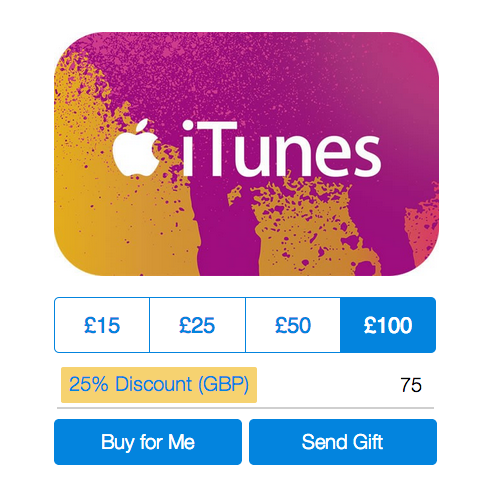 PayPal is currently offering iTunes gift cards at 25 percent off in the U.K.
As noted by MacRumors, the eBay-owned e-commerce company is taking a fourth off the price of each iTunes code it’s selling through its Digital Gifts store at the following denominations: £15, £25, £50 and £100. 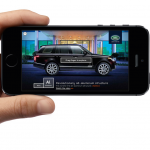 Consequently, as much as £25 can be saved with a purchase of an iTunes code valued at £100. Regardless of denomination, the iTunes code can be bought for oneself or sent as a gift to someone else. It can then be redeemed using a U.K. iTunes account to purchase various types of content from the iTunes Store, the App Store, the Mac App Store, and the iBooks Store. The offer is available only from today, Aug. 26, through Thursday, Aug. 28, or until supplies last, given the limited quantity of codes allocated for the promo. 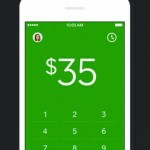 PayPal began selling iTunes gift cards with the launch of its Digital Gifts store in December last year. See also: PayPal introduces new option enabling customers to pay with just “One Touch,” PayPal Here set to give merchants on-the-go access to essential sales reports, and PayPal for iOS now lets you carry virtual versions of your loyalty cards.